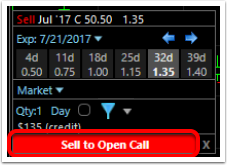 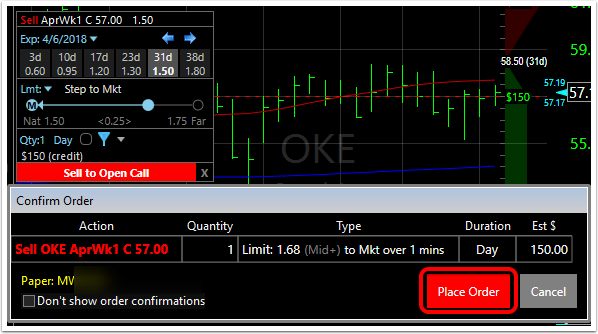 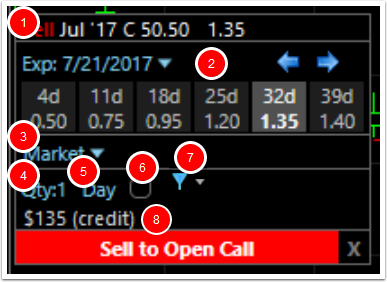 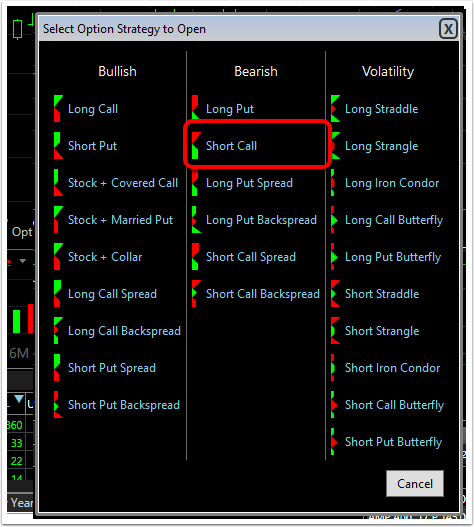 Selling a call places the obligation on the seller to provide 100 shares of the stock at the selected strike price. 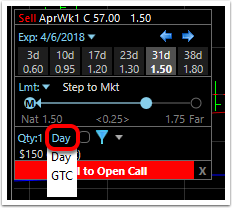 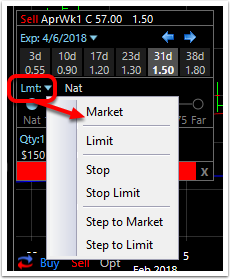 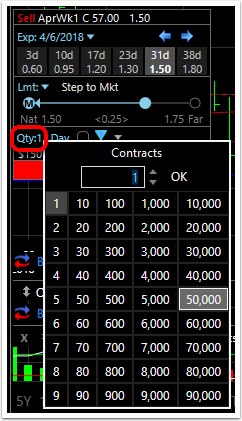 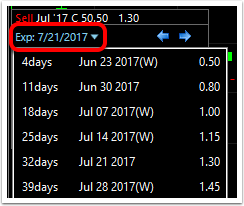 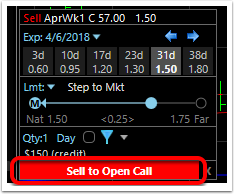 This option extends from the sell date to the selected expiration date. 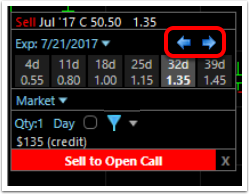 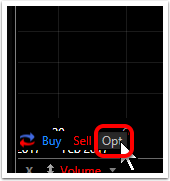 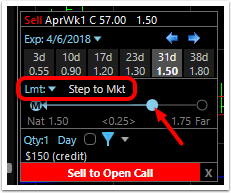 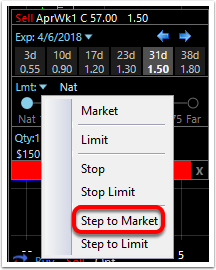 Below are the steps to place a market order from the chart to sell a call option. 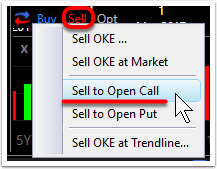 If Market order appears as the order type and no changes are desired, simply click Sell to Open Call and confirm to place the order.